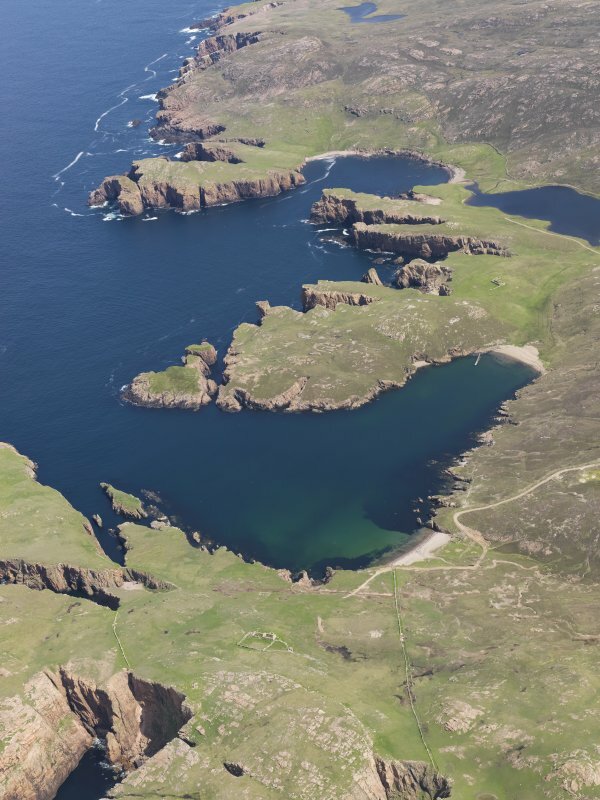 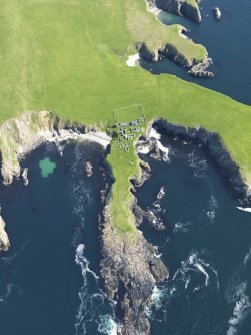 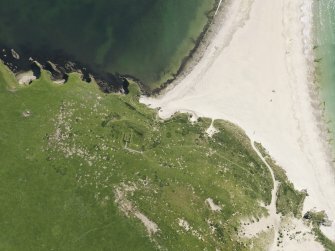 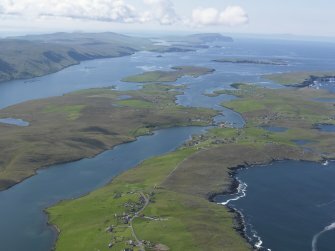 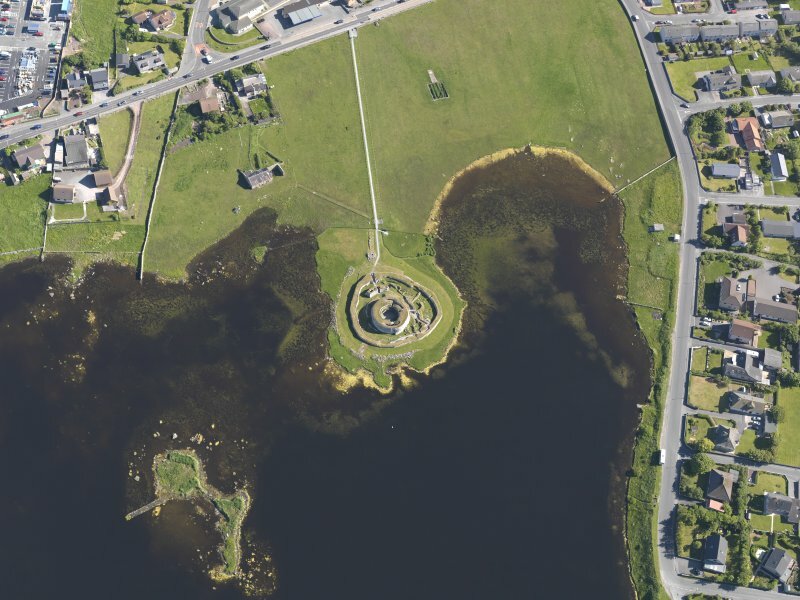 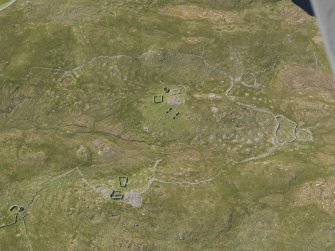 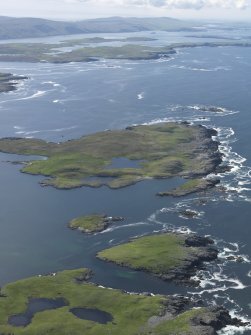 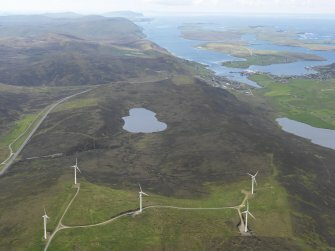 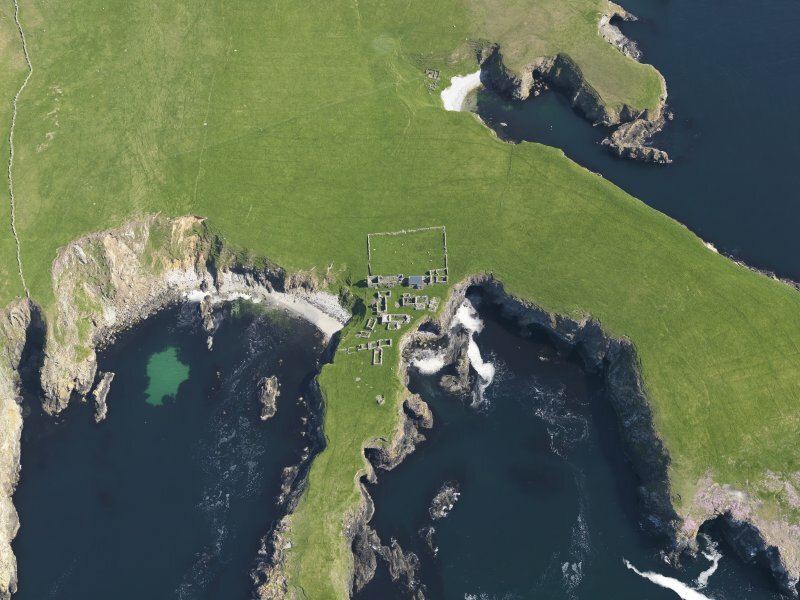 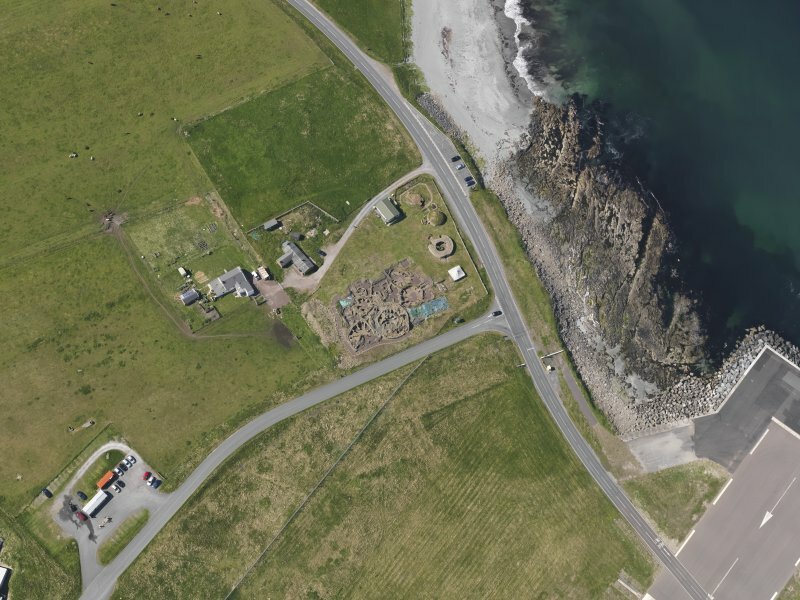 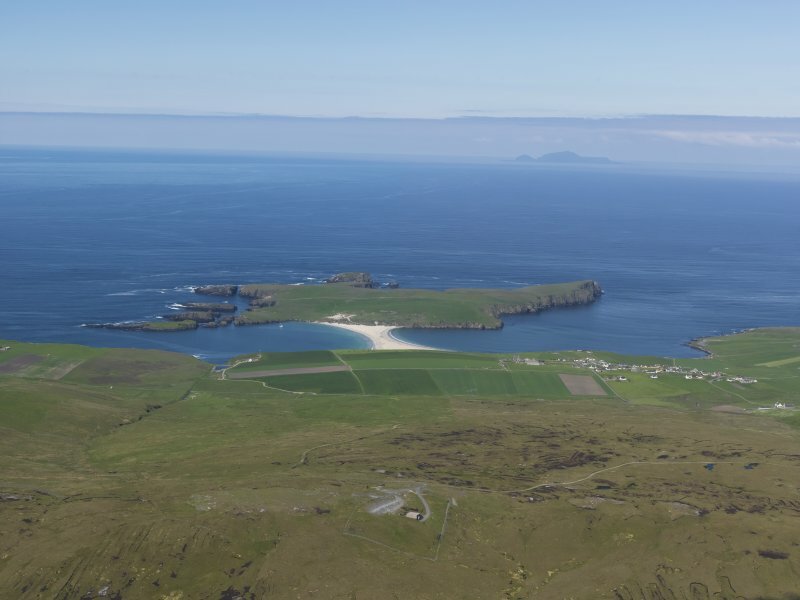 In June 2010, as a part of an ongoing programme to record the archaeology, architecture and landscapes of Scotland from the air, RCAHMS aerial survey team relocated to Tingwall airport near Lerwick. Shetland's remote location presents a real challenge to the aerial surveyor: a final frontier. 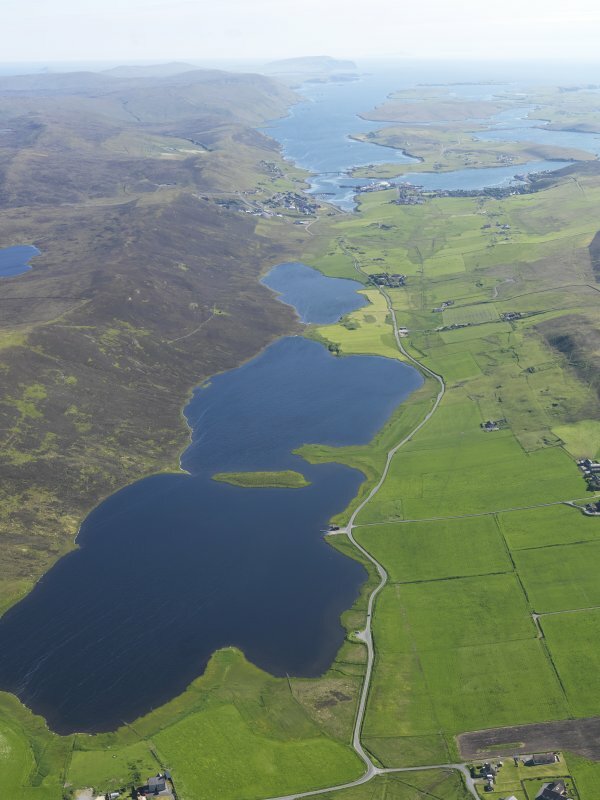 But a spell of settled weather allowed RCAHMS a rare opportunity to spend two days recording some of the region's magnificent landscapes from above. 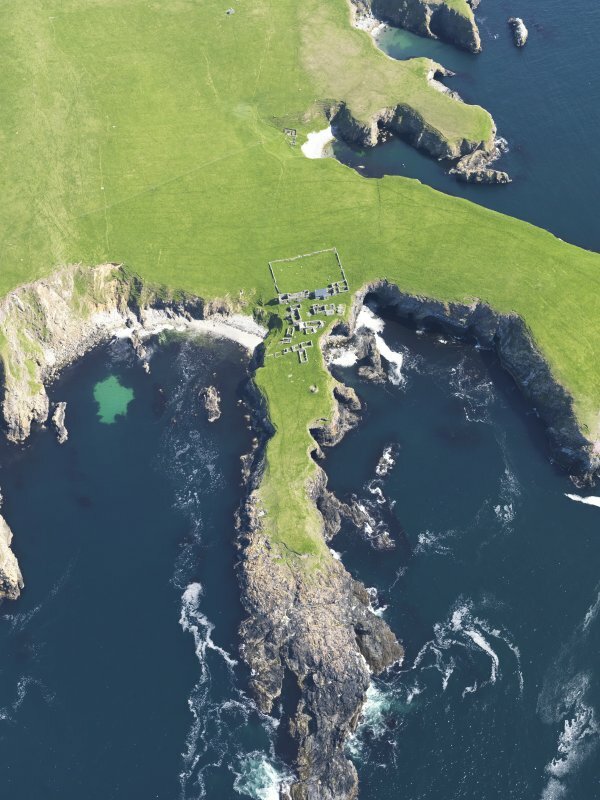 In part supporting RCAHMS archaeological field survey projects on Shetland, this was also an opportunity to prospect for otherwise unknown sites and record already established archaeological monuments from a unique perspective. 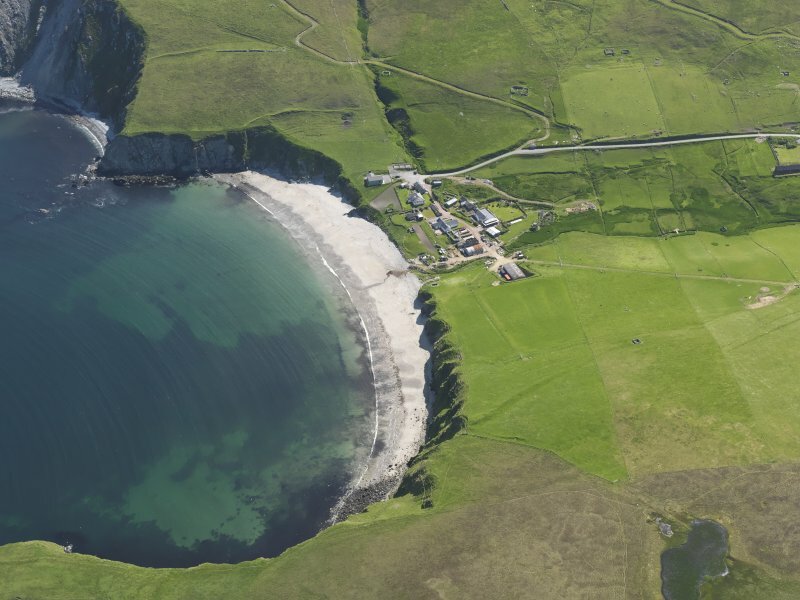 Our gallery of images presents some of the highlights from over 700 digital photographs taken during the flights. 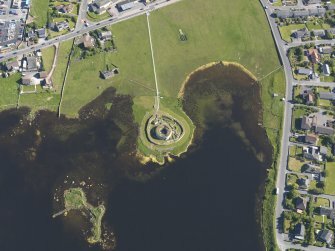 The results of the full survey are currently being made available through RCAHMS publicly-accessible, online database Canmore. 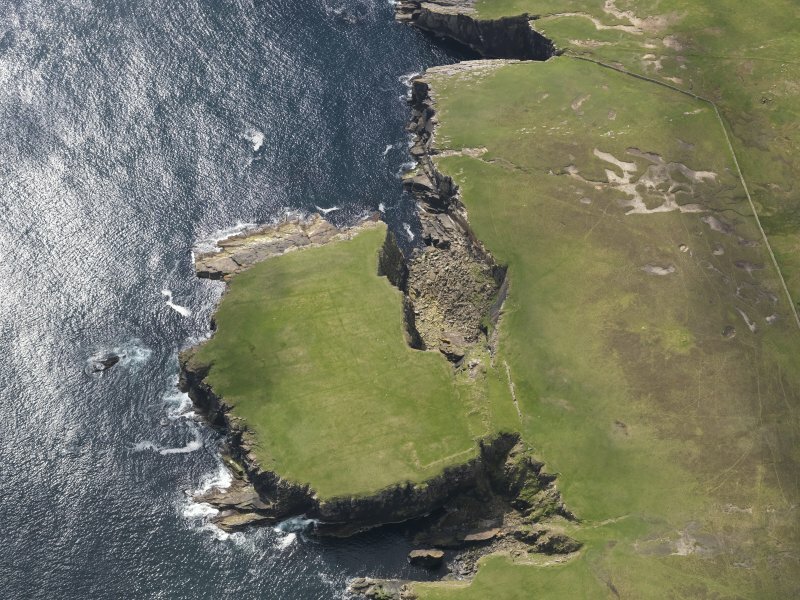 General oblique aerial view looking across Oxna towards West Burra on the W coast of Shetland Mainland, taken from the N.
General oblique aerial view of East and West Burra and Bridge End with Souterhouse in the foreground, taken from the NW. 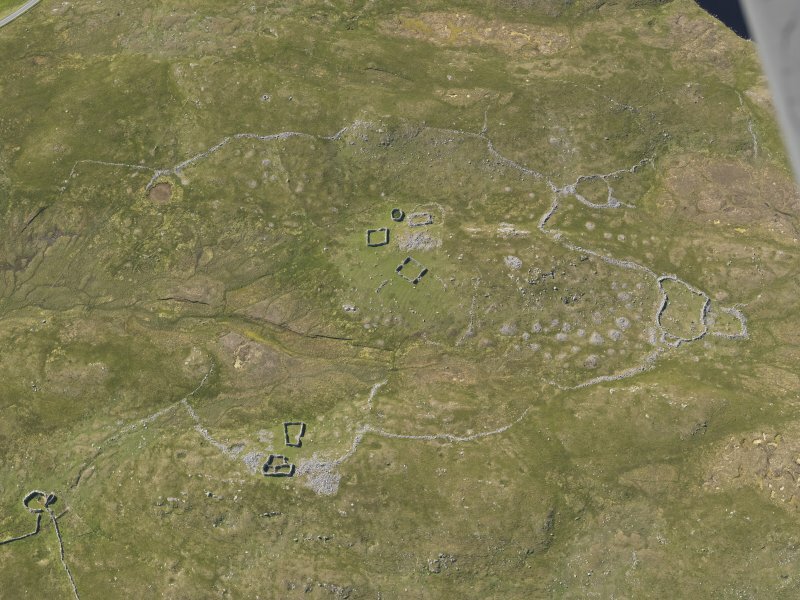 Oblique aerial view centred on the remains of the buildings and enclosures at North Ham, South Havra, Shetland, taken from the SSW. Oblique aerial view centred on Maywick with the remains of the buildings adjacent, taken from the WSW. 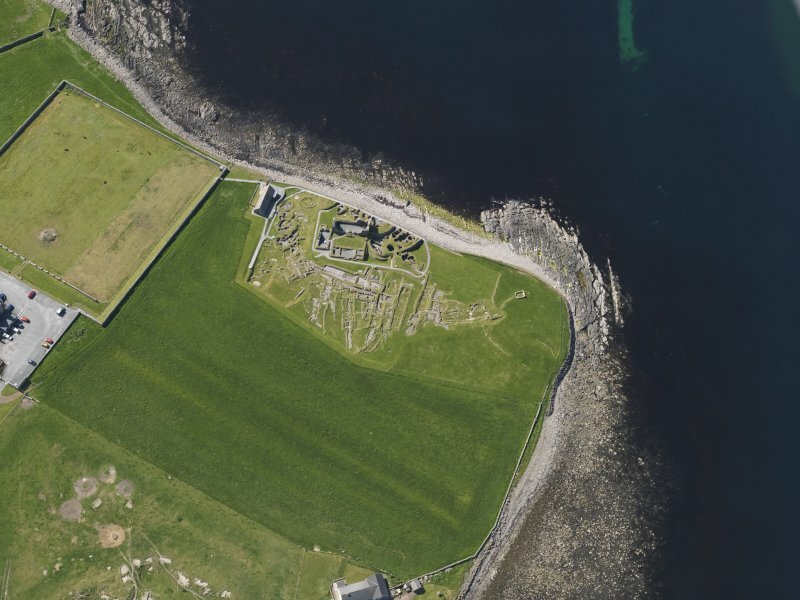 Oblique aerial view centred on the footings of St Ninian's church, taken from the W.
Oblique aerial view centred on the excavated broch and settlement at Old Scatness, Sumburgh, and the visitor attraction, taken from the NE. 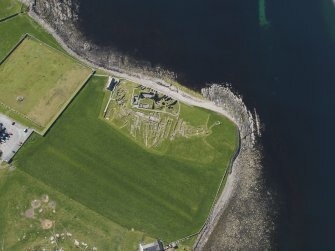 Oblique aerial view of the excavated settlement, broch and lairds house at Jarlshof, taken from the NNE. 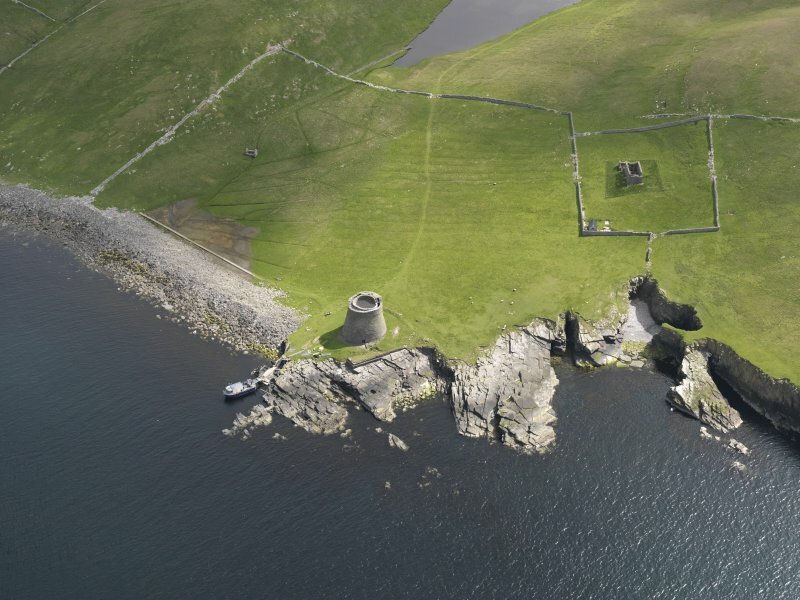 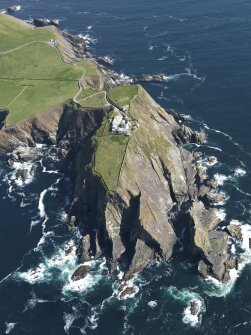 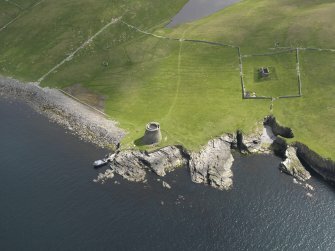 Oblique aerial view of the Sumburgh Head lighthouse, taken from the SW.
Oblique aerial view centred on Lambhoga Head and the remains of the possible fort and the buildings, taken from the NNW. 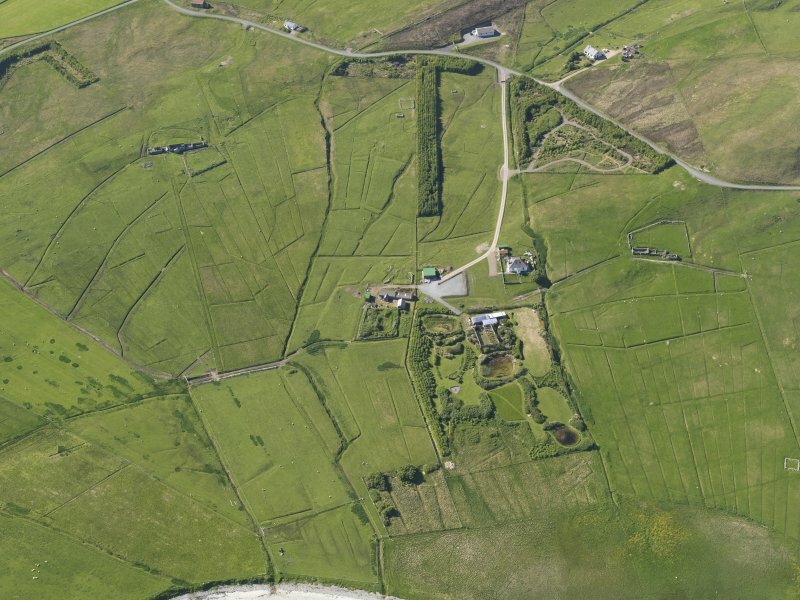 Oblique aerial view centred on the remains of the farmsteads and enclosures at North Crulie, taken from the WSW. General oblique aerial view looking across the village of Bigton and St Ninian's Isle with Foula in the distance, taken from the E.
Oblique aerial view centred on the Broch of Mousa with The Haa and the burnt mound adjacent, taken from the WSW. 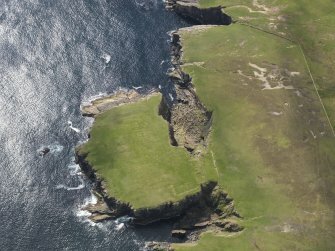 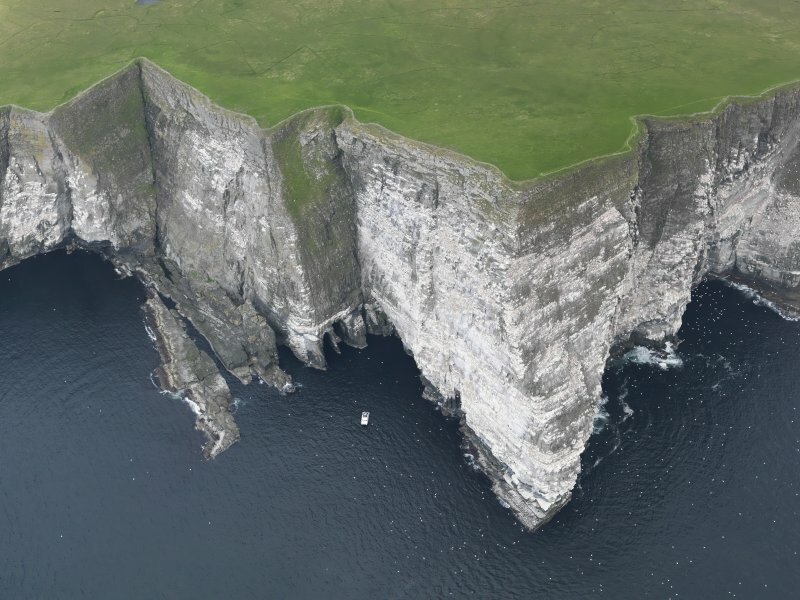 Oblique aerial view centred on the cliffs at Noss Head, Isle of Noss National Nature Reserve (HU 5538 3989), taken from the ESE. General oblique aerial view looking across the Burradale wind farm towards Scalloway, taken from the NNE. 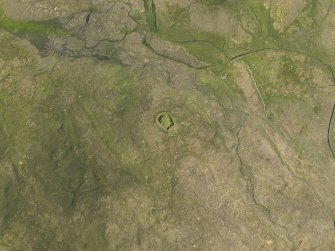 General oblique aerial view centred on the inlet of South Ham on Muckle Roe, taken from the SE. Oblique aerial view centred on the remains of the Stanydale temple, looking NW. 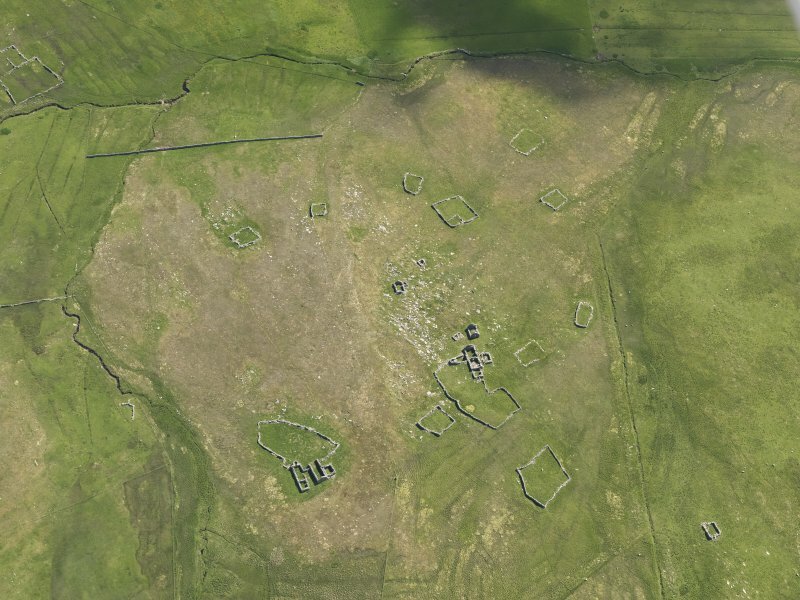 Oblique aerial view centred on the remains of the field systems, clearance cairns, heel-shaped cairn, buildings and enclosures at Flatpunds, looking NW. 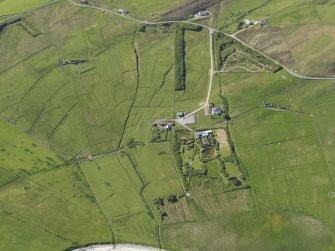 Oblique aerial view centred on 'Da Gairdins i Sand' gardens and woodland with the remains of the farmsteads adjacent, looking NW. 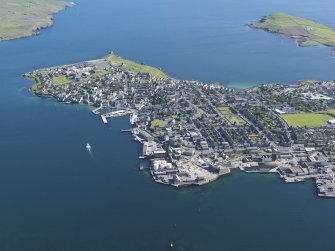 General oblique aerial view of Lerwick with the harbour area in the foreground and Bressay Sound to the top left, looking SSW. 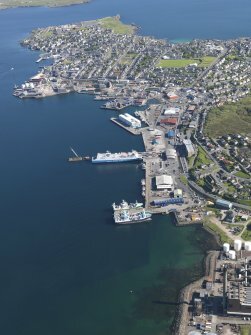 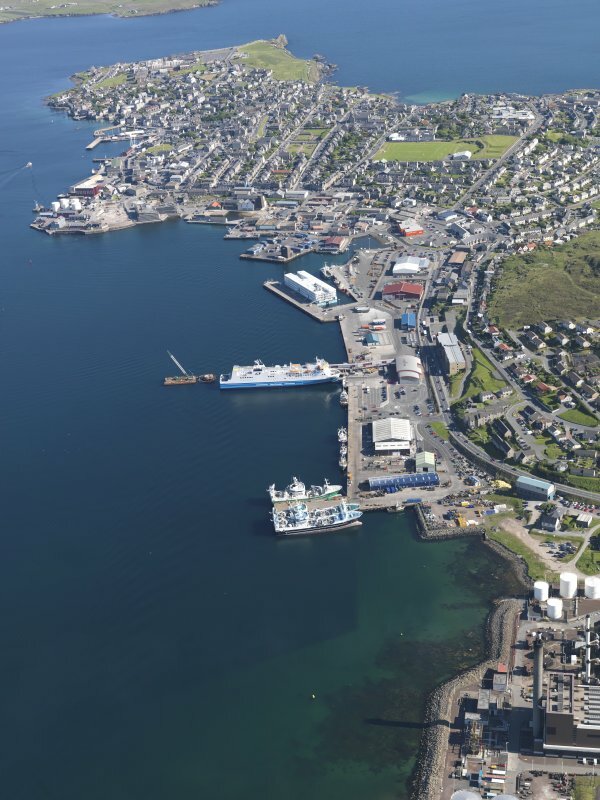 General oblique aerial view of Lerwick with the harbour area in the foreground, looking SSE.